JCBI may obtain information through the Mobile Application that Users download to, and run on, their mobile devices (“Devices”). Mobile Applications provided by JCBI may obtain information from, or access data stored on, Users’ Devices to provide services related to the relevant Mobile Application. For example, a Mobile Application may access a camera on a User’s Device to enable the User to upload photographs in relation to the services; access the call history on a User’s Device to enable the User to upload that information in relation to the services; access the contact list of the User for emergency contact; access the geographic/current location of a User’s Device using GPS or similar technologies – so that JCBI may provide content that is more suitable to Your location; or access contact information on a User’s Device to enable the User to sync contact information between the information that is stored on the User’s Device and the information that is submitted to the services. Information obtained to provide Mobile Application services may include information obtained in preparation for anticipated updates to those services. Mobile Applications may transmit information to and from Devices to provide the Mobile Application services. Mobile Applications may provide JCBI with information related to Users’ use of the Mobile Application services, information regarding Users’ Devices, and information regarding Users’ interaction with Mobile Applications, which JCBI may use to provide and improve the Mobile Application. For example, all actions taken in a Mobile Application may be logged, along with associated information (such as the time of day when each action was taken). JCBI may also share anonymous data about these actions with third party providers of analytics services. In addition, if a User downloads the Mobile Application after clicking on a third-party mobile advertisement for the Mobile Application or for JCBI, the third-party advertiser may provide JCBI with certain information, such as the User’s Device identification information, which JCBI may use to track the performance of its advertising campaigns. Users may configure the Mobile Application, and the information accessed or obtained by the Mobile Application on a User’s Device. In addition, if a Customer purchases one or more than one JCB genuine spare parts (“Products”) from the Website then the Mobile Application may be designed to interoperate with the Website; for instance, to provide a User with access to information relating to any or all of those Products or to provide information from a User’s Device to any or all of those Products. Information accessed or obtained by the Mobile Application on a User’s Device may be accessible to the User and its organization, depending on the intended functionality of the Mobile Application. JCBI may provide updated versions of its Mobile Applications, from time to time, at its sole discretion. If your Device’s settings permit, those updates will be downloaded and installed automatically on your Device. By installing the Mobile Application on your Device, you consent to the downloading and updating of that Mobile Application. In addition to Mobile Applications offered by JCBI, the Company may permit authorized third parties/service providers (as engaged by JCB) to access data stored on, Users’ Devices to provide services associated with such authorized third-party mobile applications that Users download, install, use, or otherwise interact with over the Mobile Application or the Website. The Mobile Applications may also contain links or integrations to other mobile applications provided by such authorized third parties. Third parties’ use of information collected through third-party mobile applications is governed by the privacy statements of such third parties. The Company encourages you to review the privacy statements of third-party providers of Mobile Applications to understand their information practices. Notices and contractual terms related to a particular mobile application may be found in the relevant terms of service for that application. The Company encourages you to review the relevant terms of service related to any mobile applications you download, install, use, or otherwise interact with to understand such mobile application’s information practices. The Mobile Application’s access to information through a User’s Device does not cause that information to be "Customer Data", except to the extent that a User uses the Mobile Application to submit electronic data and information to such Customer account for purchase of Products then such information constitutes “Customer Data”. In general, you can browse the Website and use the Mobile Application without telling us who you are or revealing any personal information about yourself. However, when expressing an interest in obtaining additional information about the Products or registering to use the Mobile Application or our Website, JCBI requires you to provide JCBI with personal contact information, including but not limited to your name, company name, address, phone number, and email address (“Required Contact Information”). When availing the services provided on the Mobile Application and Website including purchasing Products, or registering for an event on the Website or Mobile Application or otherwise, JCBI may also require you to provide JCBI with financial qualification and billing information, such as billing name and address, credit card number, and the number of employees within the organization that will be using the services (“Billing Information”). JCBI may also ask you to provide additional information, such as company annual revenues, number of employees, or industry (“Optional Information”). Required Contact Information, Billing Information, Optional Information and any other information you submit to JCBI to or through the JCBI Online Services (including Customer Data) are referred to collectively as “Data”. Through our “import contacts” feature option, we may also collect information such as the name, company name, address, phone number or email address of contacts that you choose to share with us. When you provide us with personal information about your contacts, we will only use this information for the specific reason for which it is provided, such as to add new records to your JCBI’s account. Cookies are small identifiers that is sent from a web server to web browser and then stored on your computer's hard drive or that of your mobile device to identify you and to understand how you arrived at our Website. The Company uses Data about Users to perform/facilitate the JCBI Online Services requested. For example, if you fill out a “Contact Me” form, the Company will use the information provided to contact you about your interest in the services. JCBI uses credit card or debit card information solely to check the financial qualifications and to enable its authorized dealers to collect payment from Users for purchase of Products through the Website/Mobile Application. The Mobile Application may use location services of the mobile device of the User to allocate or assign tasks to the nearest dealer or service provider in relation to the Products. The Mobile Application may also use location services alone or in combination with the Data to achieve such objective. We use your personal information and other information we obtain from your current and past activities on the Website and the Mobile Application to resolve disputes; troubleshoot problems; help promote safe trading; collect fees owed; measure consumer interest in the services provided by us, inform you about online and offline offers, products, services, and updates; customize your experience; detect and protect us against error, fraud and other criminal activity; enforce our Terms and Conditions; and as otherwise described to you at the time of collection. We may compare and review your personal information for errors, omissions and for accuracy. You agree that we may use personal information about you to improve our marketing and promotional efforts, to analyze the usage of the Website and the Mobile Application, to improve the content and product offerings, and customize the content on the Website and Mobile Application, layout, and services. These uses improve the Website and Mobile Application and better tailor it to meet your needs, so as to provide you with a smooth, efficient, safe and customized experience while using the same. JCBI Affiliates- The Company may share Data about Users with other affiliates, subsidiaries, joint venture of the JCBI corporate group in order for us to work with them. 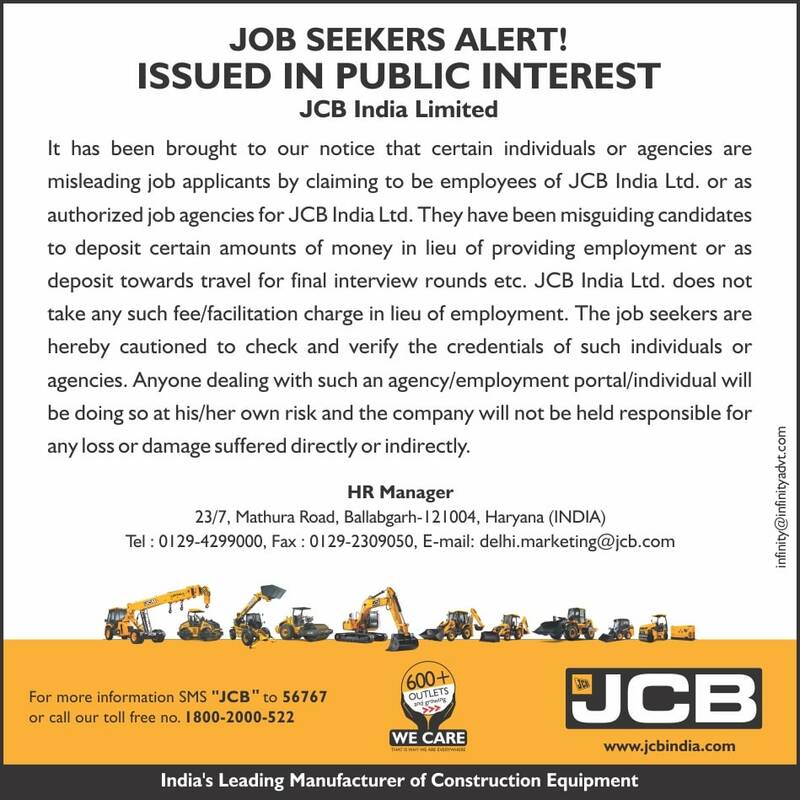 For example, JCBI may need to share Data about JCBI’s Customers with other companies within the JCB corporate family for customer support, marketing, technical operations and account management purposes. Our parent, affiliates, subsidiaries, and joint ventures follow privacy practices no less protective of all users than our practices described in this document, in compliance with applicable law. Business Partners- From time to time, JCBI may partner with other companies to jointly offer products, services, or programs (or downloadable content) such as our AppExchange partners. If you purchase, specifically express interest in, or register for a jointly–offered product, service, or program from or through JCBI, JCBI may share Data about Users collected in connection with your purchase or expression of interest with our partner(s). JCBI does not control our business partners’ use of the Data about the Users that we collect, and their use of the information will be in accordance with their own privacy policies. If you do not wish for your information to be shared in this manner, you may opt not to purchase or specifically express interest in a jointly offered product or services. Payment Partners - JCBI uses a third-party service provider to manage online payment processing. This service provider is not permitted to store, retain, or use billing information except for the sole purpose of online payment processing on the Company’s behalf. The processing of payments or authorization is solely in accordance with these third parties i.e., credit card processing companies, policies, terms and conditions and we are not in any manner responsible or liable to the User or any other Person for any delay or failure or breach at their end in processing the payments. Compelled Disclosure - JCBI reserves the right to use or disclose information provided, if required by law or if JCBI reasonably believes that use or disclosure is necessary to protect its rights and/or to comply with a judicial proceeding, court order, or legal process. Our parent, affiliates, subsidiaries, and joint ventures follow privacy practices no less protective of all users than our practices described in this document, in compliance with applicable law. JCBI may retain your information for a period of time consistent with the original purpose of collection. For instance, we may retain your information during the time in which you have an account to use our Mobile Application or till the time you are a registered user on the Website and for a reasonable period of time afterward. We also may retain your information during the period of time needed for JCBI to pursue our legitimate business interests, conduct audits, comply with our legal obligations, resolve disputes and enforce our agreements. You may request to review, correct, delete or otherwise modify any of the personal information that you have previously provided to us through the Company’s Mobile Application or Website. If you have registered for an account with JCBI, you may generally update your user settings, profile, organization’s settings or event registration by logging into the applicable Mobile Application/ Website with your username and password and editing your settings or profile. To update your billing information, discontinue your account, and/or request return or deletion of Your Data associated with your account, please contact your account representative or the customer service team for the applicable service. Requests to access, change, or delete your information will be addressed within a reasonable timeframe. JCBI uses robust security measures to protect Data about Users. All Data is stored in a secure server and is protected against unauthorized access. To prevent unauthorized access, maintain data accuracy, and ensure correct use of information, we employ reasonable security practices and procedures and current internet security methods and technologies in compliance with Information Technology Act, 2000 and rules made there under. You agree and acknowledge that You are providing your information out of your free will. You have an option not to provide or permit JCBI to collect Your personal information or later on withdraw Your consent with respect to such personal information so provided herein by sending an email to the grievance officer or such other electronic address of the respective JCBI entity as may be notified to You. In such case, You should neither visit our Website nor use our Mobile Application or use/avail any JCBI Online Services. Further, the authorized service providers/ dealers may not deliver Products to You, upon Your placing an order on the Website or Mobile Application, or JCBI may deny you access from using certain services offered on the Website or Mobile Application. You can add or update Your personal information on regular basis. Kindly note that JCBI would retain Your previous personal information in its records. For any queries or support, you may get in touch with our customer support team or mail us at [customercare.india@jcb.com].